Home » Politics News » World News » The Truth And Fact About Hamas !!!! The Truth And Fact About Hamas !!!! This is one of the rockets launched by Hamas from Gaza to one of the kindergartens in Israel yesterday. This is not the first time Hamas has fired rockets at the kindergarten in Israel. A month ago, Hamas also fired 2 rockets at a kindergarten in Israel. Good thing there are no fatalities! Those who have a border with GAZA are not only Israel, but also Egypt. As I explained earlier, Egypt closed the border door with Gaza called Rafah Crossing. Egypt is just like Israel, it does not want to be invaded by millions of Gazans who have lived with the mindset and perspective of the hardline Hamas. Will Egypt allow Palestinians to cross into their country from Gaza? Definitely not! This video is a Palestinian from Gaza who wants to enter the territory of Egypt illegally (by sea). And was shot on the spot by Egyptian border guards. But there have been protests from other countries including Indonesia? In addition to using rockets, Hamas also attacked Israel by using hundreds of bombs tied to kites and flown towards Israel. Some were flown to farms belonging to Israeli civilians, some were flown in crowded cities like civilians in this video. Does Israel have to keep quiet to see its territory being attacked and endanger its civilians? This is one of the Israeli land which was burned by Hamas with a bomb tied to a kite. They flew hundreds of kites to burn down agricultural land of Israeli civilians and forests in Israel. Are media reports like this? Not! This is a kindergarten graduation ceremony in Gaza. Hamas educated small children in Gaza with violence since childhood, namely killing Jews. See children acting as targets in the video. The clothes worn by them were the clothes of orthodox Jews. Obviously Egypt closed the Gaza border door tightly! Egypt, like Israel, will not allow its territory to be invaded by Gazans who have long lived in the mindset and perspective of Hamas! Hamas statement that death has become an industry, and they use women and children as shields (human shields) 🙈🙈🙈🙈🙈. Gazans have lived suffering because of Hamas! Every year the international community provides assistance that is not small in number to Gazans, but taken by Hamas to buy rockets or build underground tunnels to terrorize Israeli civilians! Gazans live under poverty !! But who is blamed? Israel! Seconds when Hamas launched rockets towards densely populated settlements in the south of Israel last night. This is a video that was recorded by an Israeli civilian. And in this video there is also the sound of rockets fired by Hamas. Is this in the media? NOT! The IDF (Israel Defense Force) retaliated against Hamas rocket attacks by attacking the Hamas terror tunnel. IDF fighter jets are targeting terrorist tunnel attacks in southern Gaza, in addition to several terror sites throughout Gaza, including complexes used to prepare terrorist attacks and Hamas terror training facilities. To date, Hamas has fired 200 rockets towards densely populated settlements in southern Israel! This is a rocket fired by Hamas in one of the children's playgrounds in Israel. Thankful there are no fatalities. Something like this won't have news in the media! Hamas are the real terrorists !!! This is a videotape of a pedestrian in Sderot City, Israel who was almost hit by a rocket attack from Hamas. Luckily he survived and escaped the attack. Why aren't there such things in the media? Is it because the media is now reporting news that fits the audience's wishes only, and not according to the facts? Or the media today are biased? Last night I watched the news on the television station, which reported that only Israel attacked Gaza. But why is there no news of Hamas attacking Israeli civilians with 200 rockets? For the sake of rating huh? Afraid no one is watching because they are telling the truth? This video was taken two days ago. Location in Southern Israel. After the ceasefire, Hamas still burns Israeli civilians fields with bomb kites. Who can tolerate this terror attack?? Senior Israeli officials tell IDF if arson attacks on Israel do not stop soon, Israel will begin a wide scale operation in Gaza. When Hamas fired rockets in Sderot, southern Israel 4 days ago. One synagogue was hit by a rocket fired! The media will not tell you this! Israel strikes Hamas outpost in Gaza! 3 rockets were launched at Israel. 2 were intercepted by Iron Dome. One landed in open field inside Israel. BREAKING VIDEO: Israel airstrikes in Gaza moments ago. Hamas is the real terrorists! Israel CAN NOT & WILL NOT tolerate attacks threatening Israelis' lives! I want to see what the media tell the public tomorrow! 4 members of terrorist Hamas killed by Israel airstrikes. This is the truth about Hamas! Hamas used the children in Gaza to commit violence! Hamas luring this children with candy to convince them to run to the Gaza border fence and confront IDF soldiers. Free Gaza from Hamas! This is the truth that the media won't tell you! Hamas provoked Gazans to made the riot violence on the Gaza border. When the riot occurred, Hamas snipers shot an IDF soldier, Aviv Levi, 21 years old. 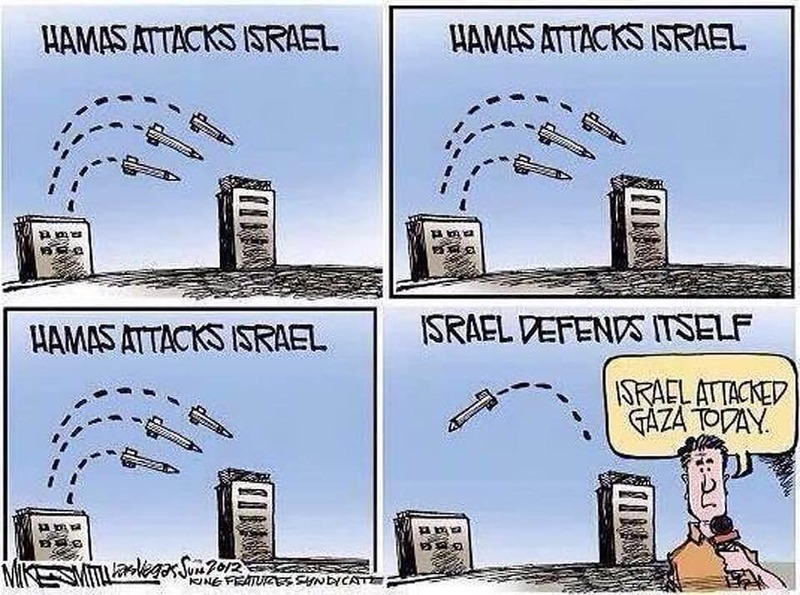 Then Israel attacked Hamas posts in Gaza. No one can tolerate the terror attacks that Hamas has done! Hamas uses Gazans include women and children as human shields! And then playing victim and blame Israel when they are injured or dead! When the United Nations sends humanitarian aid to Gazans, Hamas takes it to live a luxurious life! Hamas doesn't care about Gazans! 0 Response to "The Truth And Fact About Hamas !!!!"